I’ve returned from my adventure in Mexico at La Mole Comic Con . What a great event. On Saturday, I met talked with many more cosplayers, and I was struck by how many family groups there were. My experience of groups attending together in the U.S. is that these tend to be affinity groups (groups of friends.) I have met a few family cosplay groups- and after all, I blog as one, but I noticed how many more of these folks I met in Mexico City. Estela was quick to tell me that she isn’t normally the “Princess” type (she’s a fan of the Spiderman franchise)- but had dressed as Snow White for her grand-daughter, who was at the convention as Princess Peach. Here she is with her little sister (who is the most adorable, tiniest Michonne you’ve ever seen). Fantastic. More on this family to come. They were a lot of fun- had collectively decided to cosplay, had worked on costumes together and were there as a group. these two were having a great time and getting along famously. There were also Rebeca and Ramon (with their father- who like my esposo, was just tech support). Rebeca and Ramon’s Dad, beaming proudly (and taking photos of me interviewing these two), is an example of some really nice family support dynamics that I observed, however briefly, at La Mole. As I’ve written before, I often encounter U.S. based cosplayers who wish they had more family support. Sometimes I’ve met U.S. cosplayers who talk about open hostility to their hobby from their parents and family. 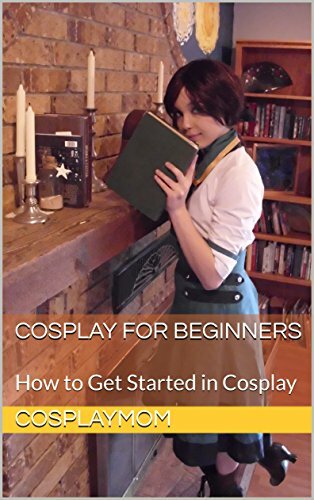 As a Cosplay Mom myself, I’ve always loved that Kiogenic (cosplay daughter) was into cosplay- it’s creative, it’s positive and it has really allowed her to make new friends while learning new skills. So many worse things a young person can spend their time on. So many more people to talk to and much more to learn, but I was charmed and delighted by the wonderful cosplay families I met at La Mole! A big shout out and thanks to all those supportive families.